A Stanford University graduate student lost her life on Sunday, as she was mountain climbing in Inyo County in the Sierra Nevada, university officials said Wednesday. Maria Birukova, a fourth-year graduate student in a dual medical and doctorate degree program, fell Sunday evening as she and a partner were ascending Bear Creek Spire. She was 26. 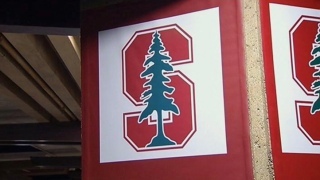 Birukova came to Stanford three years ago after earning a bachelor's degree in biomedical engineering at Yale University, according to university officials. She was an avid mountaineer and climber who had trouble deciding whether to go to Stanford or the University of Utah for graduate training. Birukova was born on May 31, 1990, in Moscow, Russia and attended the University of Chicago Laboratory Schools in Chicago, which educate students from nursery school through high school. At Stanford, Birukova was working on research on the role played by the bacteriophage virus in the formation of biofilms. Biofilms are viscous communities of bacteria that are resistant to antibiotics and immune responses. Birukova was helping to design polymers and antibodies to disrupt biofilms so that patients with deadly infections could be treated. "The medical school community has suffered a tremendous loss," dean of the school of medicine Dr. Lloyd Minor said. "Maria's interdisciplinary approach to the treatment of antibiotic-resistant biofilms brought to bear insights from both chemistry and immunology in an attempt to devise new treatments for patients with few other options." Birukova was climbing with a partner when she fell 800 to 1,000 feet, Inyo County sheriff's officials said. Her partner climbed down to where she was and found she was dead, according to sheriff's officials. Her body was recovered Tuesday. Birukova is survived by her parents Dr. Konstantin Birukov and Dr. Anna Birukova. Both work at the University of Chicago.